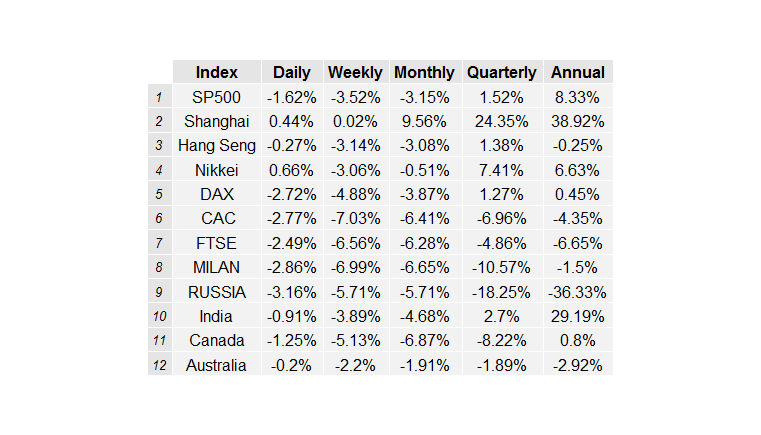 A snapshot overview of the Global Stock Index performances. 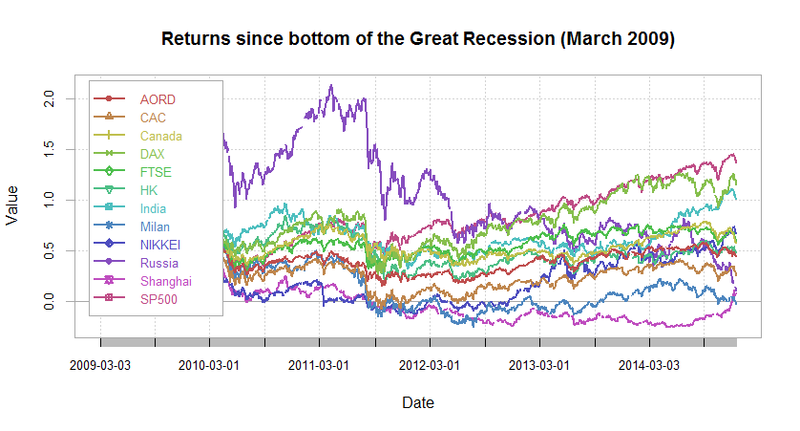 The table below is a drawdown and risk analysis from March 2009 to date. This entry was posted in Investments, quants, R code, Statistics. Bookmark the permalink.